USA Climbing, the national governing body of competitive climbing in America and their international counterpart, the International Federation of Sport Climbing have both released new brand identities this month. These rebranding efforts come at a time when the profile of climbing is higher than it has ever been before. 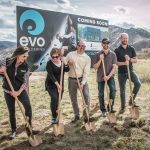 In their announcements both organizations pointed to the growing awareness of the sport and the need to market to the general public. While USAC’s flashy new logo is the centerpiece of this rebranding effort, perhaps the biggest change for American climbers will be the retiring of the various brands within USAC: American Bouldering Series (ABS), Sport Climbing Series (SCS), and Collegiate Climbing Series (CCS). Rather than having separate, and competing, brand names for each of these disciplines, the event names will be replaced with “descriptive verbiage to describe our different disciplines,” Waggoner said. 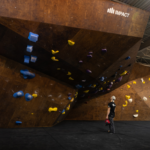 This represents a major change for competitive climbing in the US, particularly for the ABS brand, which was created by Scott Renek in 1999, and has been a successful brand ever since. Each discipline will, at the end of the 2015 season, use a simpler language to describe the activity; ABS will become simply, USAC Bouldering. 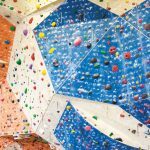 Waggoner told CBJ that it was pure coincidence that USA Climbing’s rebranding was announced at the same time as IFSC’s rebranding. The timing of this effort, he said, has more to do with the development of a future USAC website. That’s welcome news for many USAC members who have been requesting a website overhaul for many years. Waggoner understands people are eager for a new online presence for USAC, but he is committed to making sure the organization is doing things strategically. “We didn’t want to launch a new website with the old branding (as we knew that a rebranding initiative was imminent), so we decided to start from the ground up and develop the new visual elements of the USA Climbing brand before starting the process of website development,” Waggoner said. 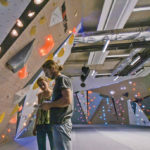 Marco Scolaris, President of the IFSC said in the press release, “We are absolutely delighted to see sport climbing booming, with new climbers every day and hundreds of new gyms opening every year all over the world.” As an example he notes that the BMC (British Mountaineering Council) has increased their number of licensees by 115 % from 2010 to 2015 and the CMA (Chinese Mountaineering Association) has reported a growth of 54% in the construction of new climbing walls between 2012 and 2015. 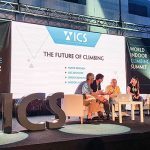 During the last few years, the IFSC has spread its wings outside Europe, with several stages of World Cup competitions being held in the Americas and Asia. The IFSC press release also gave some insight into the demographics of the international competitor by stating the average age of the international athletes is around 20 years old, and 56% are between 16 and 24. Though unverified they also state that in the last two years the TV coverage of the IFSC events has increased significantly and the live streaming of each IFSC event on YouTube has occured in 210 different countries. If you would like to know more about competition history and how the organizations fit together, check out CBJ’s Comp Explainer.